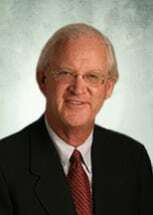 Fredrick F. (Rick) Rogers Jr.
Rick, a lifelong resident of Corpus Christi, joined the firm in 1970 after two years as an Assistant District Attorney in Nueces County. He is very familiar with the South Texas culture which enables him to better understand the litigation and business environment in representing his clients' interests. Rick is committed to helping his clients receive the highest quality representation while taking into consideration the most efficient way to resolve the issues presented. His life experiences, including his relationship with his long time friend and golf teacher, Harvey Penick, provide him a unique insight to helping his clients. Rick is a Senior Shareholder in the firm and has a diverse practice involving litigation, transactional and business related matters. He is an experienced litigator in both the State and Federal courts. His litigation experience includes a broad range of cases involving death, serious injury and property damage arising from tort, product liability, medical malpractice and oil and gas related claims. His litigation experience also extends to commercial related torts, deceptive trade practice claims, a professional liability and construction disputes. Rick has also been active in representing numerous clients in the purchase and sale of businesses, in advising on real estate and construction related matters, as well as the general operations of the client's business. Rick is AV-rated by his peers in Martindale-Hubbell. This broad base of experience has enabled Rick to be an effective Mediator with regard to helping parties resolve disputes.